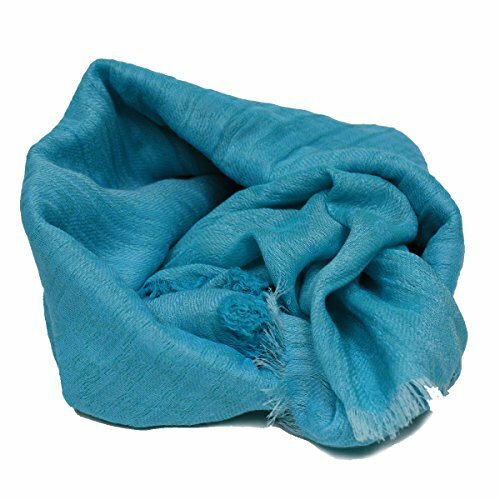 Gucci Turquoise Blue Silk / Wool / Cotton Blend 70 x 20 Inch Lightweight Fringed Scarf 283031: Material: Silk, Wool, and Cotton blend (24% Wool, 24% Silk, and 52% cotton) with fringed edges. Dimensions: 70 x 20 inches. Interlocking 'GG' Guccissima logo. Brand-new, authentic Gucci scarf. Made in Italy. Includes authenticity cards and control cards. Material: Silk, Wool, and Cotton blend (24% Wool, 24% Silk, and 52% cotton) with fringed edges. Brand-new, authentic Gucci scarf. Made in Italy. Includes authenticity cards and control cards.